Walking through dark, grey tunnels carved 400 feet into the base of a mountain in the Arctic Circle, researchers did something that hadn’t been done since the “doomsday vault” was built in 2008. Instead of putting containers into the vault, they began taking them out. The 138 black boxes stacked on trolley carts and transported out of the vault contained a precious resource — seeds, that researchers hope will restore some of the genetic diversity lost during the Syrian conflict. 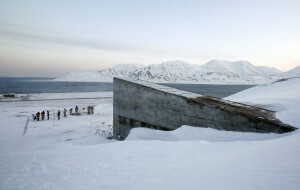 The Svalbard Global Seed Vault, which holds more than 860,000 seed samples, including varieties of food staples such as wheat and rice from around the world, could prove a well-planned safeguard for farmers across the world, who are tasked with feeding rapidly growing populations while adapting to a changing climate. In this instance, however, the threat is war. The International Centre for Agricultural Research in the Dry Areas, a nonprofit that promotes agricultural development in developing countries, ran a major seed bank near Aleppo, Syria, until 2012. Rebels took over the area one year into the bloody civil war, and while the nonprofit says the fighters allowed them to continue working, the daily threats from the fighting proved too dangerous, forcing them to shut down. 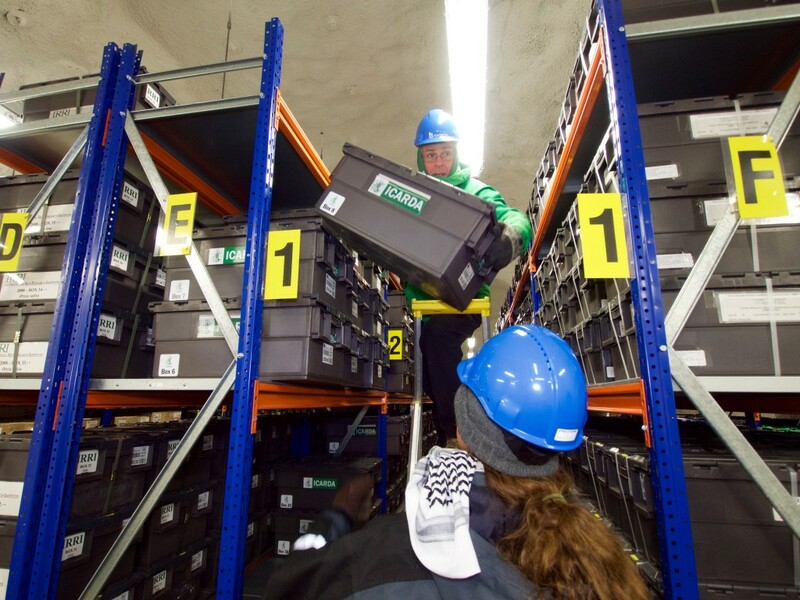 But before that happened, researchers there were able to safely transfer thousands of seed samples out of the country, some of which were stored in the arctic vault. Now, researchers have taken 38,000 seeds back out of the vault and on Monday delivered them 3,000 miles to Lebanon and Morocco, where they can continue the research they started in Syria. It is the first of what will be several shipments over the next few years. The Global Crop Diversity Trust, the organization that runs the Svalbard Vault with the Government of Norway and the regional organization NordGen, says the shipment contained varieties of cereals, wheat, barley, faba beans, lentils and chickpeas that will be planted next year and tested in hopes of developing new strains that can better withstand disease and climate change, and, eventually, be used to help feed a growing global population.